On a recent trip to New York City, I stopped by one of my newest customers, the Barclays Center, home of the NBA Brooklyn Nets. Matt Felker, Director of Arena Operations was nice enough to show me around the building. One thing that stood out that I found very interesting was there loading dock. Inside the building, once you enter the loading dock area, there is a large 80 foot diameter turntable. Large enough to spin tractor trailer truck in a full circle! With no ramp access to the underground parking lot, buses use a large 40 foot long elevator. Very impressive!! But not at the Barclays Center. What really caught my eye was the fact that all of the premium court side seating was sponsored by "Calvin Klein". This was unique and one of a kind to see a leading fashion brand branded not only around the first row of court side seats, but also 3 to 4 rows behind court side. Calvin Klein has certainly made a statement and is seen by all who attend a Brooklyn Nets NBA basketball game! To see more VIP chairs click here. To see more photos of the Barclay Center and other great facilities click here. 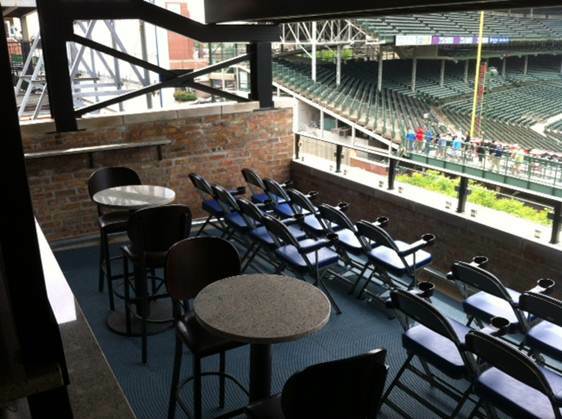 And, of course, don't hesitate to contact me if I can help you with your venue's seating needs. 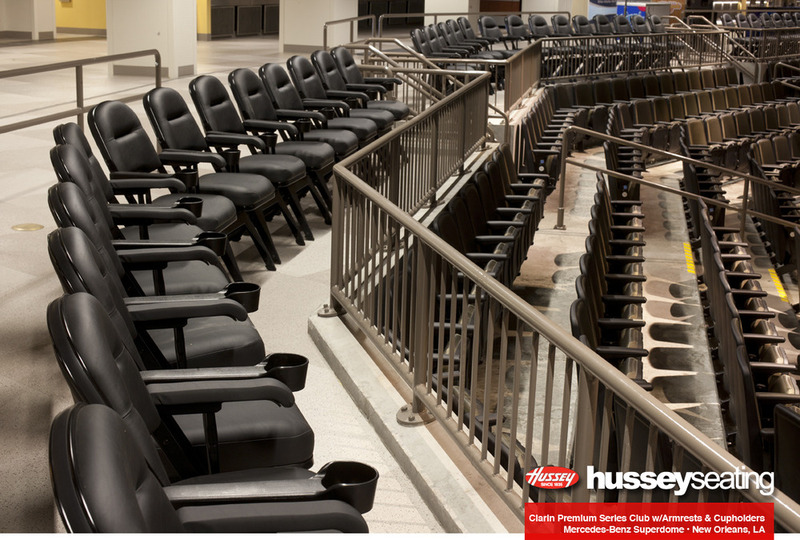 Director, Marketing & Communications for Hussey Seating Company in North Berwick, ME. Rapidly aging husband & father, ex-jock and musician, still waiting for my call from Keith & Mick to jet to London & jam with the Stones…. In the NBA, "dominating the paint" refers to an overpowering inside game, usually a key element of winning the Championship. 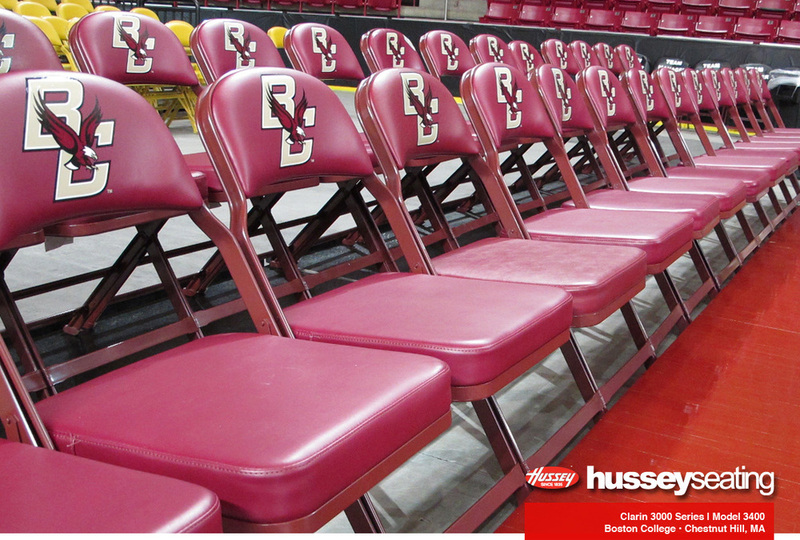 When it comes to sideline seating in NBA arenas, however, it means being the clear brand of choice for premium sideline chairs. 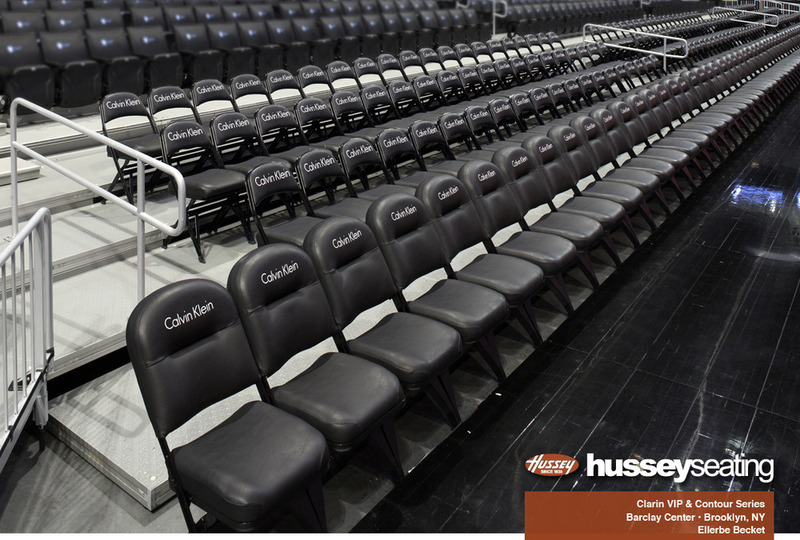 And since over 80% of NBA venues choose Clarin by Hussey Seating as their premium seating solution, there's no doubt about which brand dominates the painted sidelines in the NBA! Check out this neat BleacherReport blog post for the inside story on sideline seating in each of the NBA's arenas. 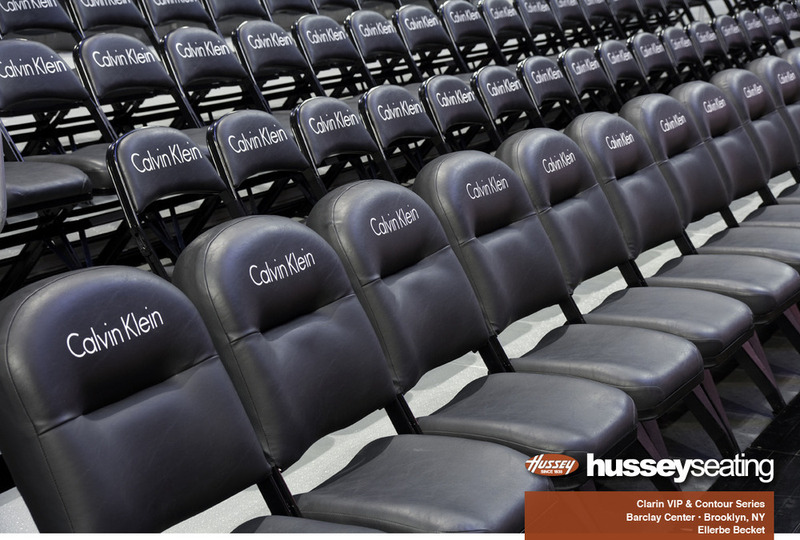 If you're looking to create a premium seating experience for your audience, talk to the man the pros rely on, Clarin by Hussey Seating National Manager Steve Luttazi – nobody has more experience in providing the right seating solution and an unparalleled level of customer service. 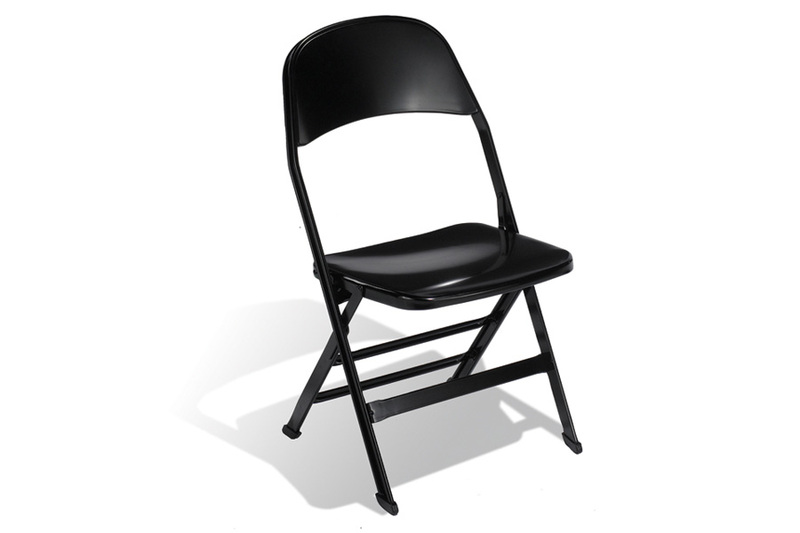 When many people hear the term "portable folding chair", they probably think of something along the lines of the photo at the lower left – a simple sturdy metal chair, arranged in rows on a flat floor or on risers to create temporary audience seating. Or perhaps a row of sideline chairs for the local basketball team, as you see in the photo below right. But as portable chairs have evolved to incorporate premium comfort and accessories, customers have begun to use them in ever expanding applications, everything from premium sideline seating to suites, loge boxes, meeting rooms and conferences facilities, anywhere the facility is looking for comfort but also to retain the flexibility to customize the seating to fit specific event requirements. 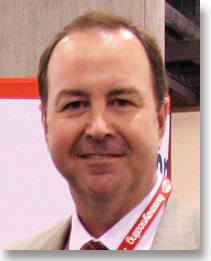 You can see several examples in the photo gallery below. 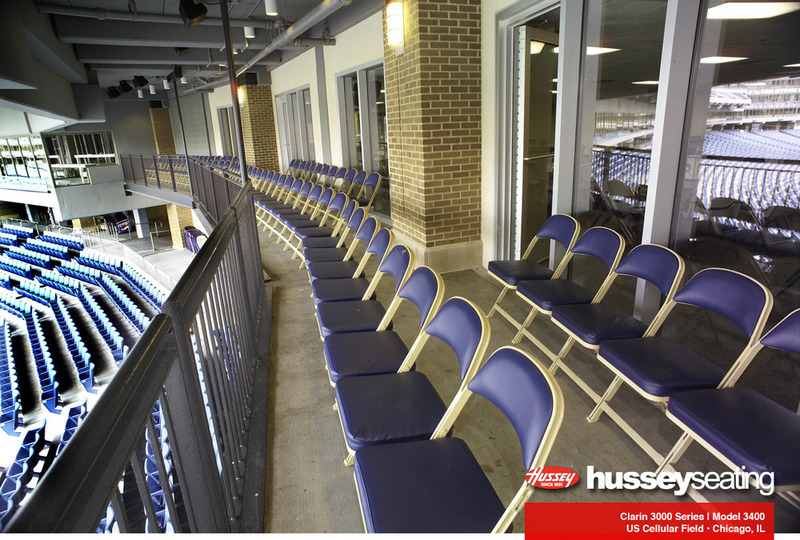 We purchased 25 of the Hussey interlocking folding chairs for our exclusive Field Level at Lakeview Baseball Club. We had a very specific list of requirements for this section, and the Hussey seats were the ONLY option that met all criteria. We needed a removable seat so the deck could be power washed, yet needed something more durable and attractive than a folding chair. 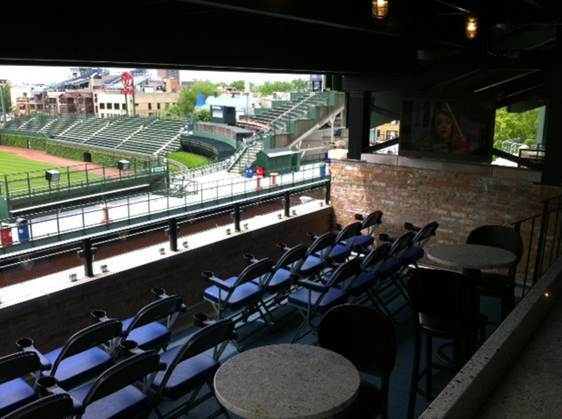 We also needed to satisfy the Chicago Department of Buildings by creating an area where a guests couldn't "throw a chair off the roof". These seats all interlock making that highly unlikely scenario impossible. We were able to custom order both color of seat, color of metal, and have our logo printed on these seats, as well as install cupholders. All our guests comment on how comfortable and stylish they are. We couldn't imagine our Field Level without them. A clever solution (see photos below) and great execution by our local dealer, Carroll Seating Company, to turn Jared's vision into reality. 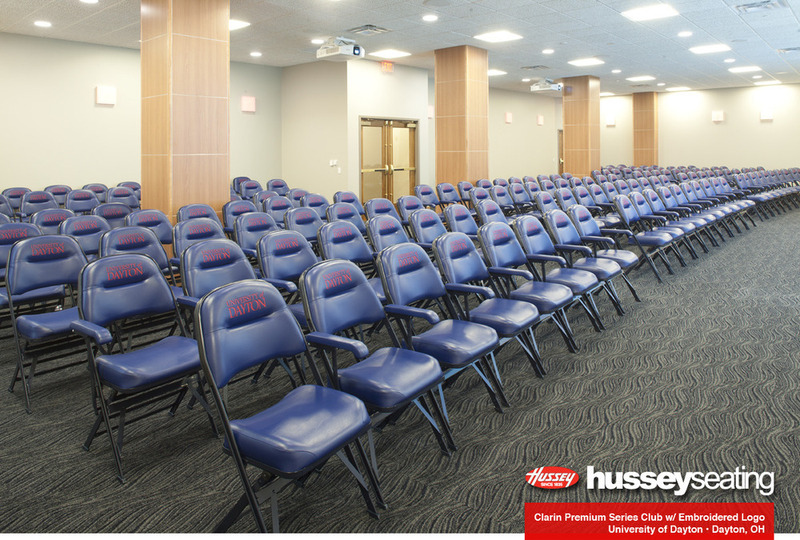 If you're looking for more clever ideas on how to increase your venue's comfort and flexibility, contact your local Clarin by Hussey Seating dealer.